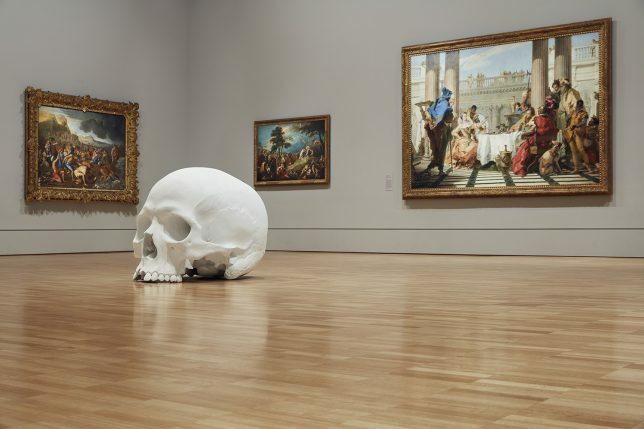 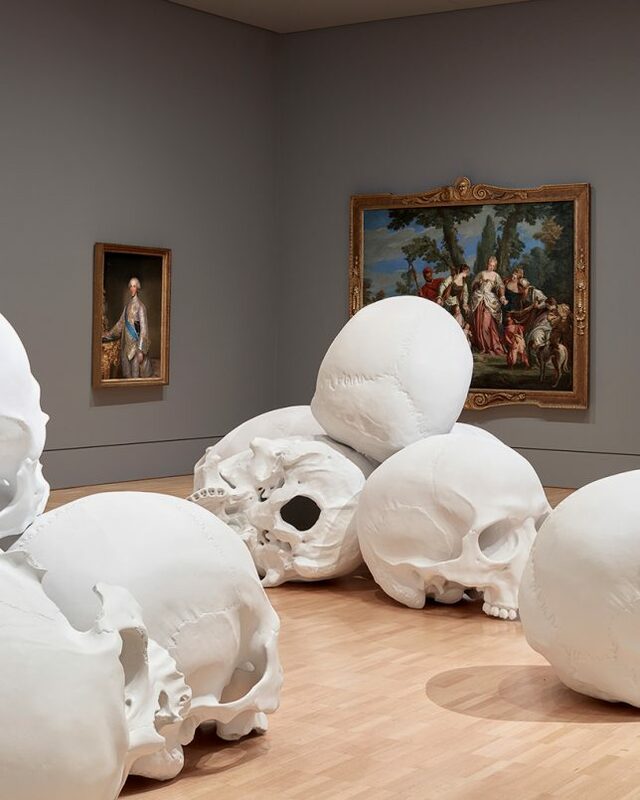 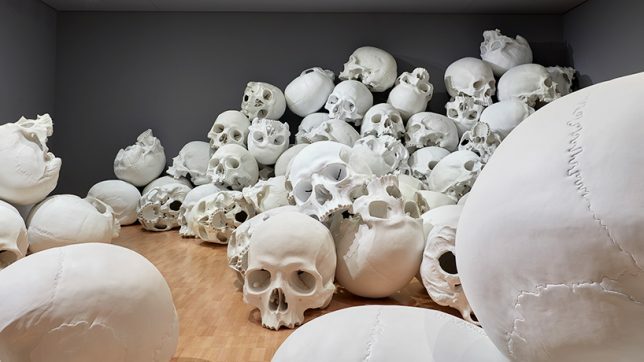 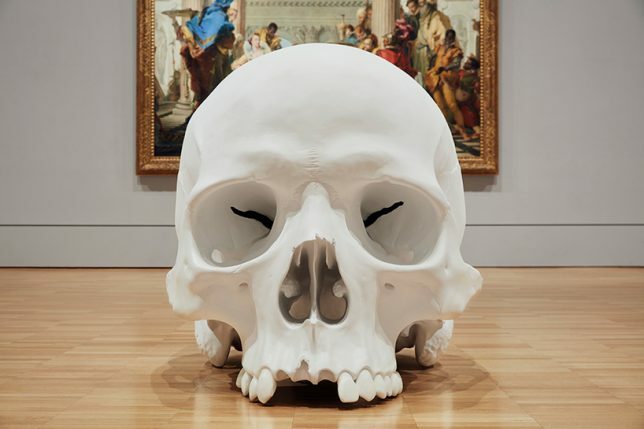 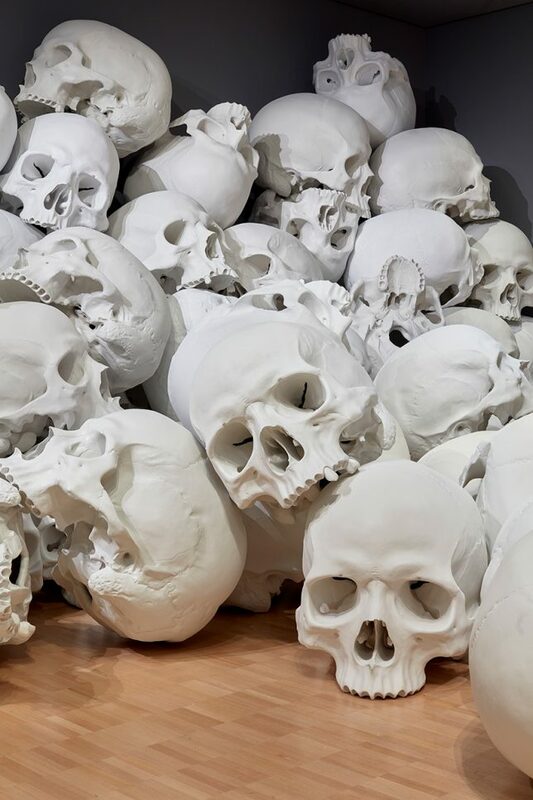 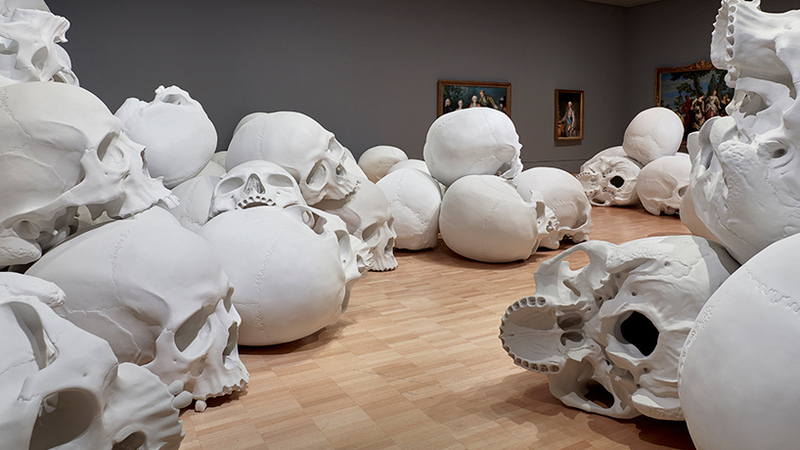 A curious curatorial decision marked the inaugural National Gallery of Victoria Triennel, featuring 100 artists from 32 countries, including an installation of 100 massive skulls (note: not those of the participating artists). 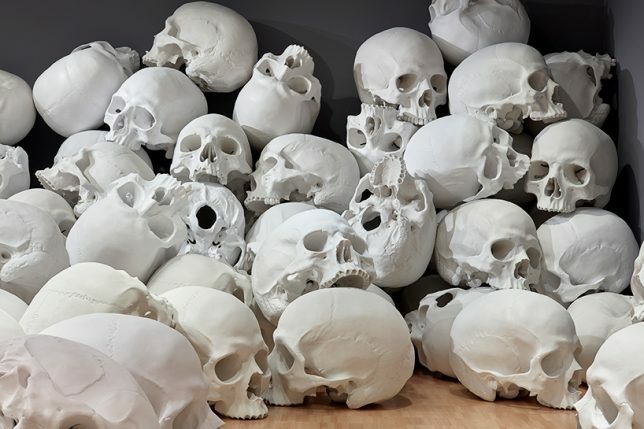 Amidst other artists, designers, technologists, animators and architects, Australian sculptor Ron Mueck’s largest ever work to date still stands out, providing a chilling ambient atmosphere for more conventional museum pieces. 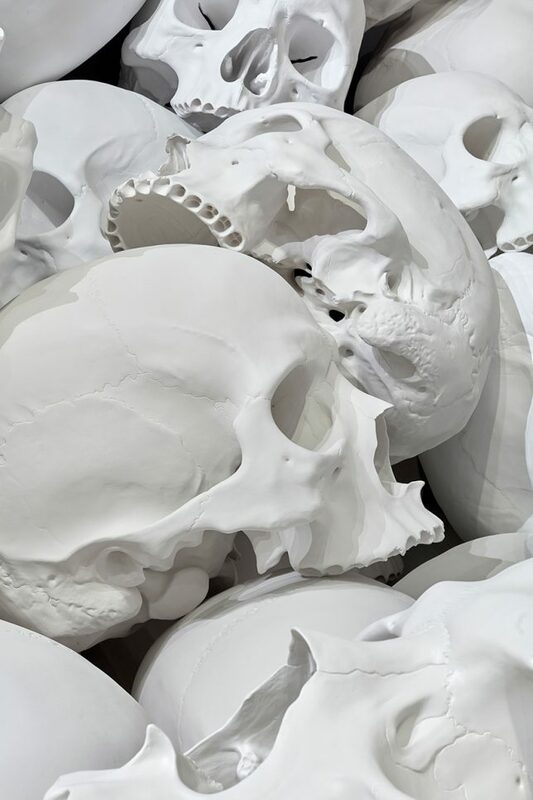 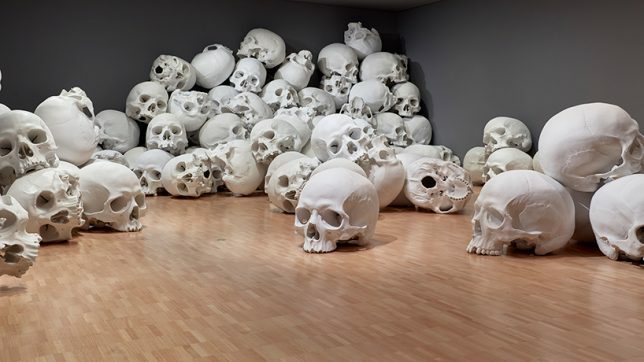 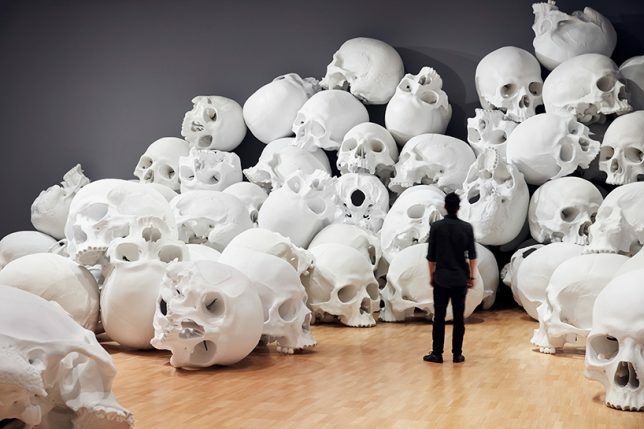 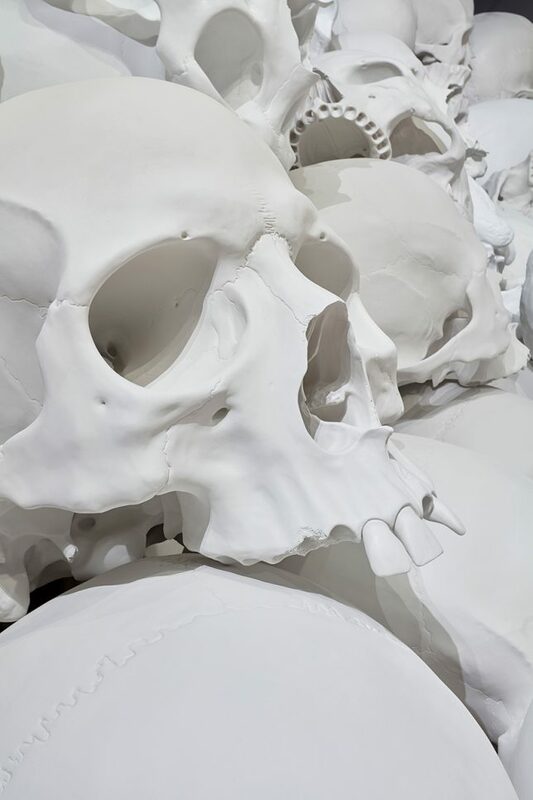 Made of fiberglass and resin, the skulls are around three feet (or: one meter) tall, but many are piled up on top of one another, reaching toward gallery ceilings above. 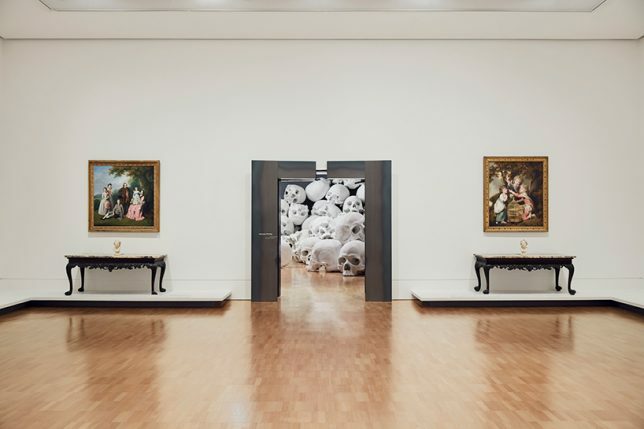 This exhibition in Melbourne is free and open to the public and will continue through late April — images by Tom Ross and Sean Fennessey.